This entry was posted on July 29, 2010 by The Tentacle. 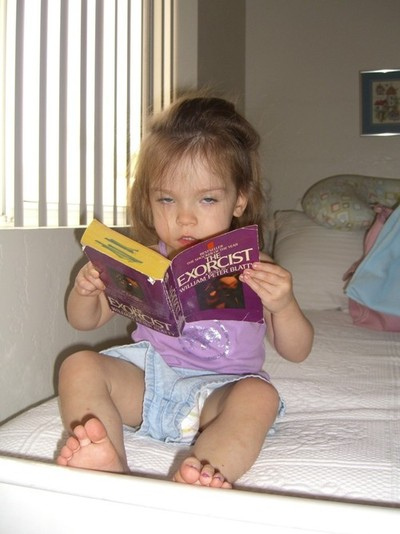 It was filed under Books, Fun, Picture of the Day and was tagged with Child, Exorcist. Yeah, the Exorcist always puts me to sleep as well. I’m glad this picture was taken when it was, and not a few seconds later when the pea soup started erupting out.